If you're growing a lawn in northern Alabama, you will inevitably face weeds. Which weeds intrude, if they cause serious problems and how best to deal with them will depend on factors related to grass choices and lawn maintenance practices. If possible, think about weeds before you install a lawn. Preventing weeds is often easier than removing them once they appear in your turf. Northern Alabama is geographically diverse, with four physiographic regions in the northern third of the state: the Highland Rim, the Cumberland Plateau, Valley and Ridge and the East Gulf Coastal Plain. These areas are in U.S. Department of Agriculture plant hardiness zones 7a and 7b, in the transition zone for turf grasses. According to the U.S. National Arboretum, the transition zone is the most difficult place to grow turf grasses. So, the area will support diverse weed species to compete with grasses that are not well adapted to the climate. As of 2011, the Alabama Cooperative Extension System lists 126 weeds in its Weed Identification database, many of them found in home lawns. In northern Alabama typical lawn weeds include grassy weeds, such as annual bluegrass and crabgrass, and broadleaf weeds, such as clovers, dandelions and plantains. To reduce the likelihood of weed competition in northern Alabama, take time to prepare your site and plant the appropriate grass varieties. The Alabama Cooperative Extension System recommends manually removing Bermuda grass and nutsedge from lawn sites. Use herbicide on other weeds before seeding or laying sod. Put down pine straw mulch on newly seeded areas, rather than straws that may contain weed seeds. As for varieties, Auburn University lists Bermuda, fescues and zoysia as appropriate choices for northern Alabama. Fescue's bunching growth habit does not compete as well with weeds, but the spreading warm-season Bermuda and zoysia grasses will have a shorter than ideal growing season in northern Alabama. 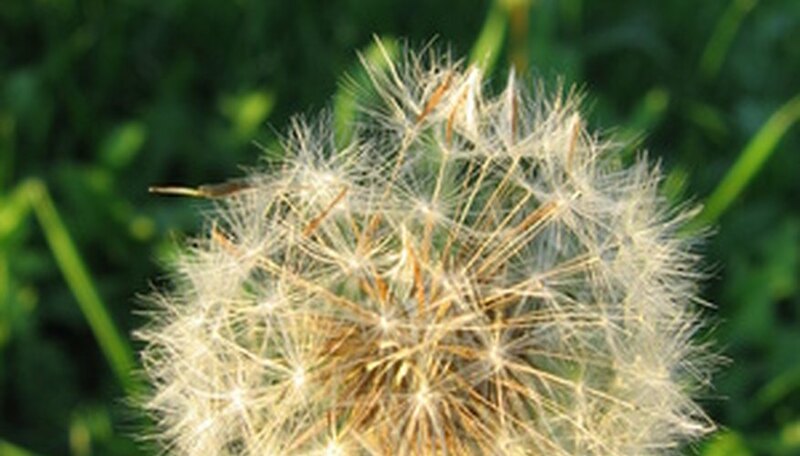 Evaluate the available sun; weeds quickly invade shady areas. The Alabama Cooperative Extension System warns that Bermuda grass requires eight hours of filtered or direct sun a day; zoysia grass needs six hours of sun, and even shade-tolerant fescues require at least four hours of sun. The best weed prevention strategy in northern Alabama is a healthy, established lawn. Mowing height is a critical factor in keeping weeds from taking over, advises the Alabama Cooperative Extension System. Both letting grasses grow too tall and mowing them too short can weaken your lawn and encourage weeds. Proper mowing height depends on your grass variety. Keep Bermuda grass at 1 to 1 1/2 inches, zoysia at 1 to 2 inches and fescues at 2 to 3 inches. Although you may be interested in controlling weeds for aesthetic reasons, weed control may also help you conserve water, notes the Alabama Cooperative Extension System. Weeds compete with grasses for water in your northern Alabama lawn. Control perennial broadleaf weeds, such as dandelion and plantain, with periodic use of broadleaf herbicides, as needed, from April through December, advises the Alabama Cooperative Extension System. For annual weeds, use pre-emergent herbicides. Apply pre-emergents in February for summer annuals, such as crabgrass, and in September for winter annuals, such as chickweeds.